Welcome to ProviderPlatform, an exclusive collection of tools and resources to help physicians, hospitals and health care professionals quickly and efficiently get the information they need to service members and answer payment information. Platform web portal is the quickest way to get the answers you need regarding eligibility, claim and payment status. Signing up for the portal requires an agreement of terms, information about your practice (requiring your TIN) and then creating a login that can be used moving forward when you visit Provider Platform. Once logged in you can search for eligibility, benefits, claims status and more. 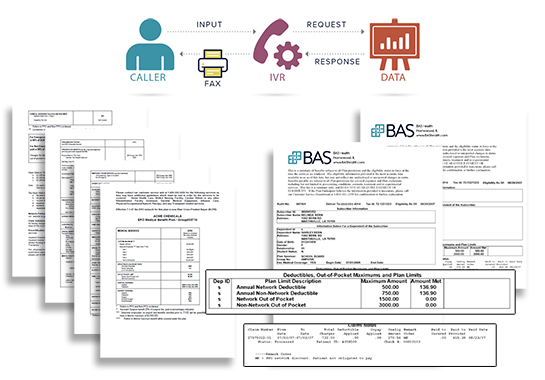 BAS offers a 24/7 Provider Platform IVR system where providers can communicate in real-time with our eligibility and claims system through voice and keypad options. This system allows for eligibility inquiries and claim status to be quoted by the IVR as well as the ability to receive this information, including a schedule of benefits back via a fax number. Receive verbal confirmation of participant eligibility (members & dependents), coverage, accumulators, and claim payment status. You can request a fax which can include eligibility information, schedule of benefits, accumulators, coverage and claim status. 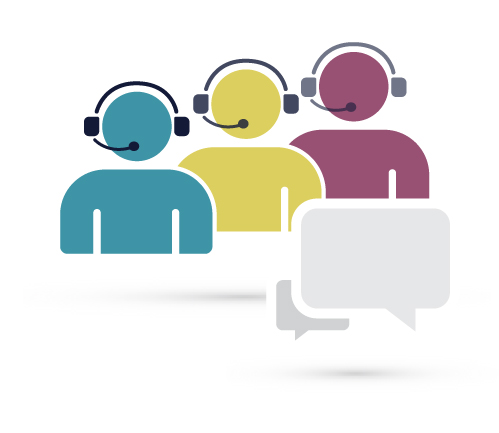 Our Chicago-based Provider Call Unit is here to assist you with any questions you may have. The Call Unit may have hold times that are dependent multiple variables including the day and time of day and as such we encourage all providers to attempt to utilize the automated resources (Portal & IVR). When calling the Provider Call Unit please have all patient information readily available for us to assist you as quickly as possible. Call our Provider Unit today at 877-625-0205. To meet the needs of our clients, BAS has access to over 50 local, regional and national provider networks allowing us to provide deeper discounts and better access. We also work with our clients to develop direct contracting, specialty networks, and cost plus models. The list below does not represent all of our network partners, but it provides a snapshot of networks which may fit your needs. 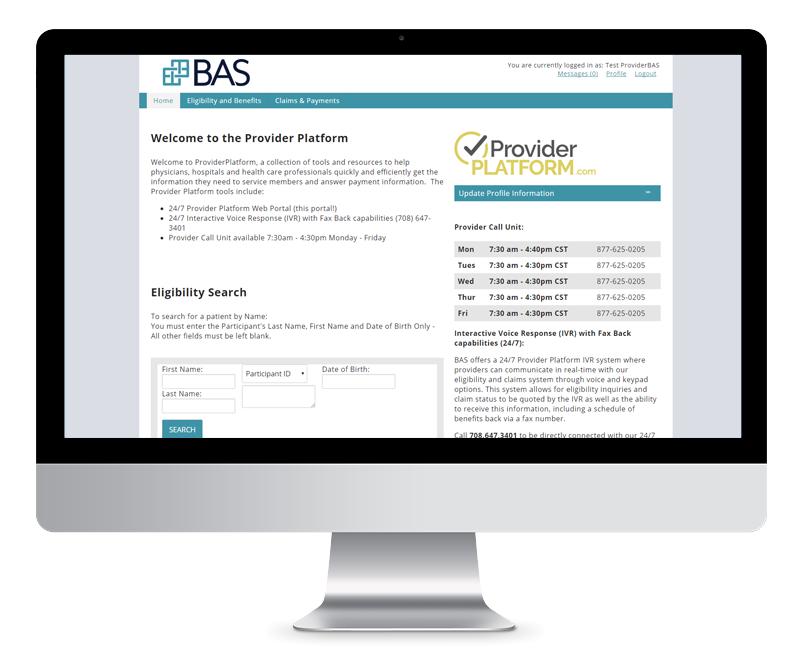 For network questions or to learn more about how we can create a custom network configuration for your member populations contact a BAS Sales Executive: 800-523-0582. PPO provider networks are an essential piece of employer’s benefit plans. Founded in 1983, BAS is national in scope with offices in Chicago, St. Louis and Fresno. Understanding the complex health care system and the various ways cost savings can be generated is often overlooked. BAS brings together the advantages of bundled and unbundled benefit administration, giving the employer control and flexibility.